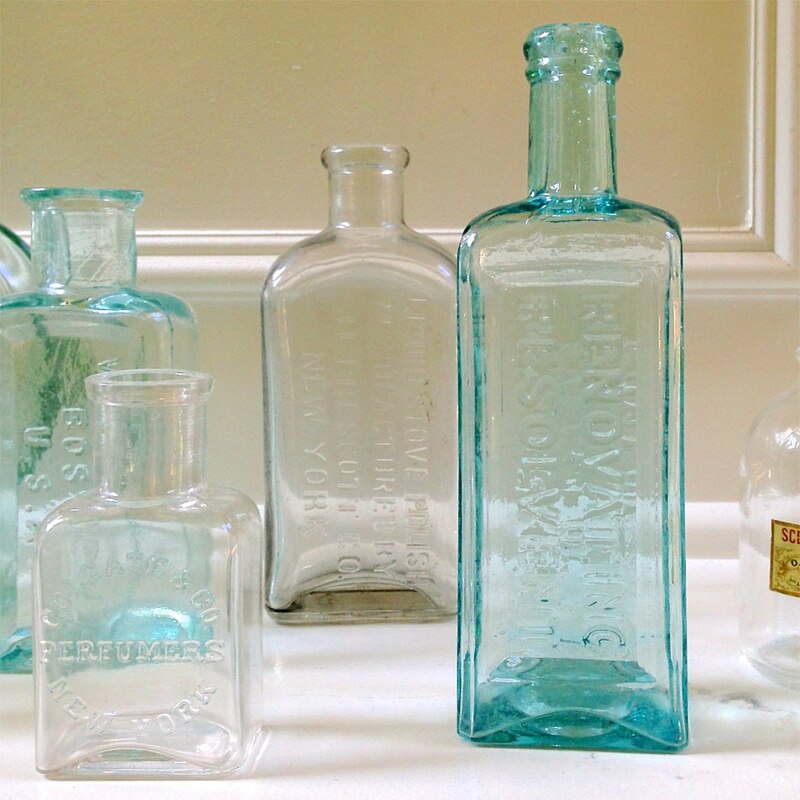 I always love the simplicity of the old bottles, particularly those with light blue coloring. 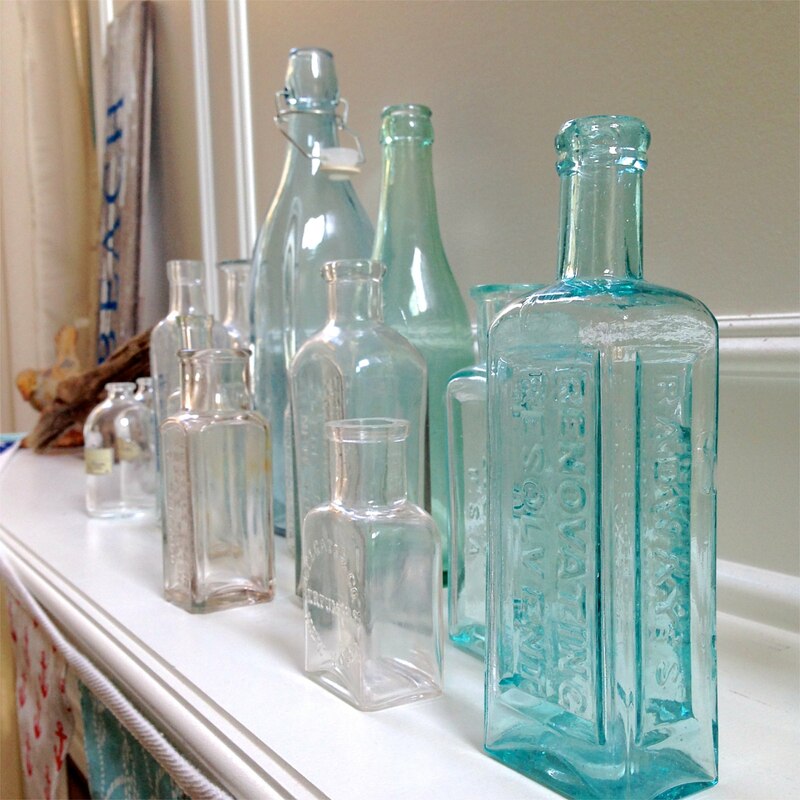 I’ve amassed a little collection I can’t help but share when I think of the sea. But I couldn’t stop there. 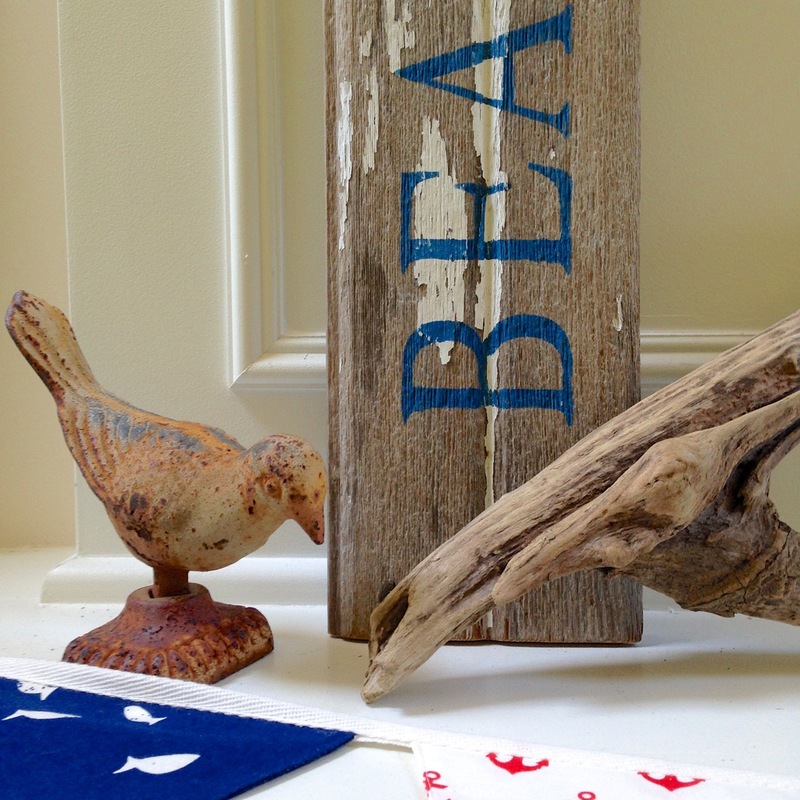 Nothing says summer like a few beach scenes with collected driftwood, a wrought iron bird statuary, and a sign hand painted on old barnwood. 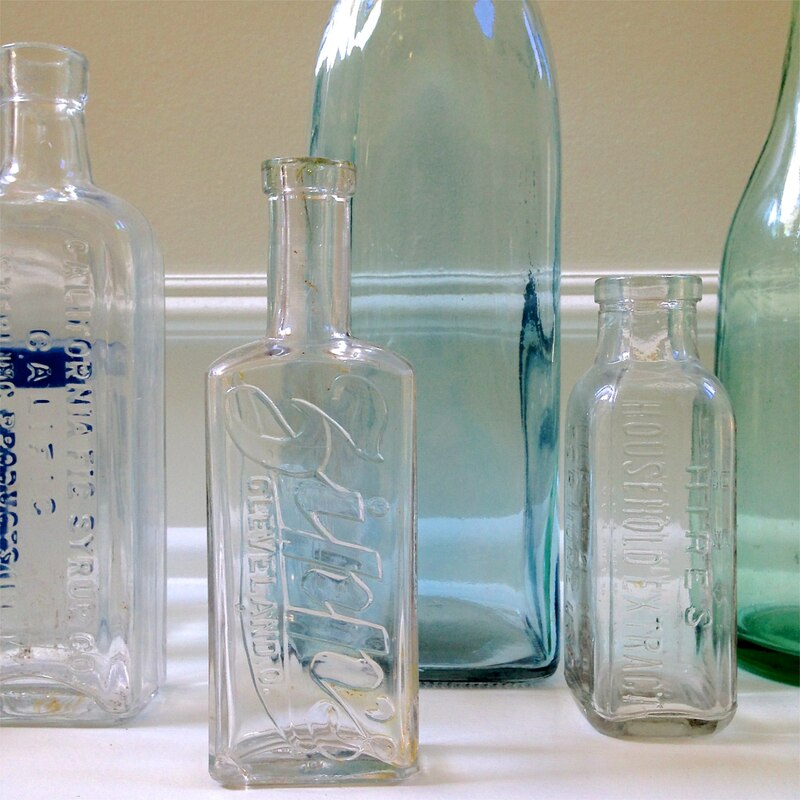 My mantle was complete when I added a little Deauville bathing beauty figurine swimming towards the bottles – I acquired the figurine on our trip to Normandy France earlier this year. 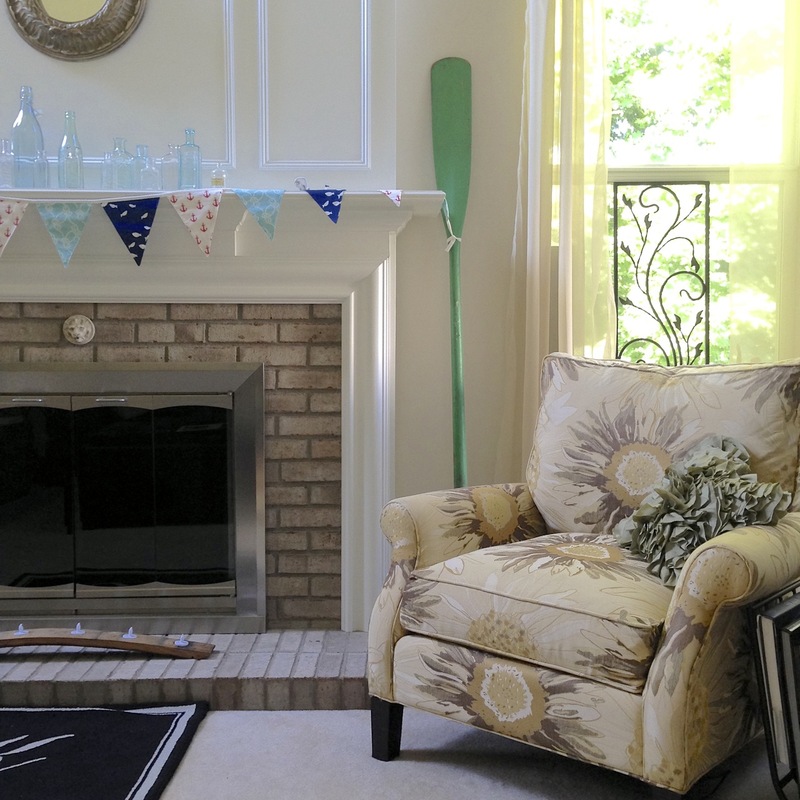 Above the fireplace I found the cutest mirror shaped like a porthole at my local Goodwill, the perfect accessory to cap off the fireplace. 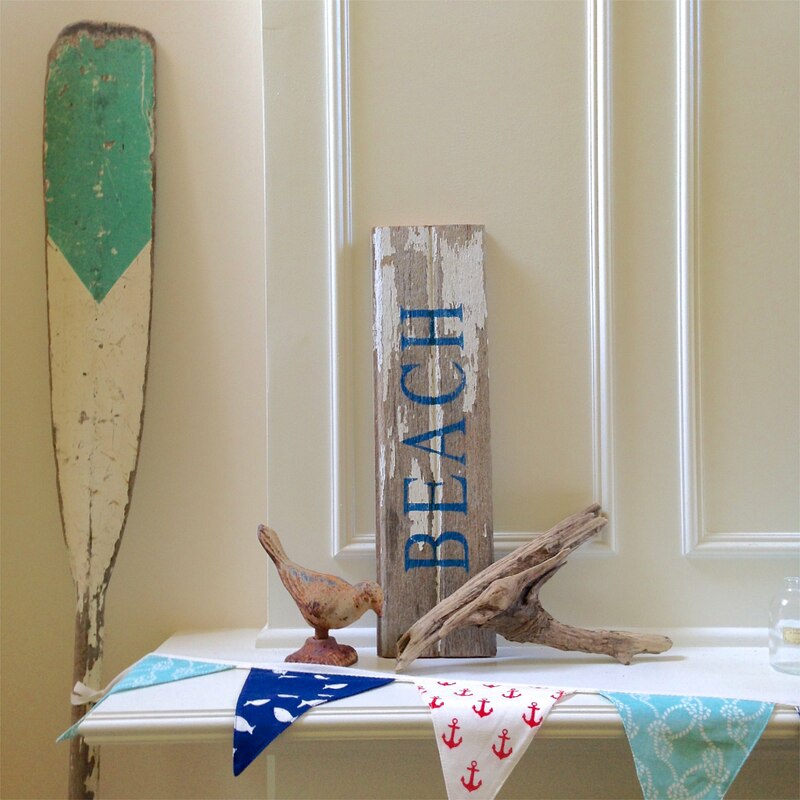 And any summer scene is not complete without my set of well worn oars all ready to grab when it’s time for a little boating. 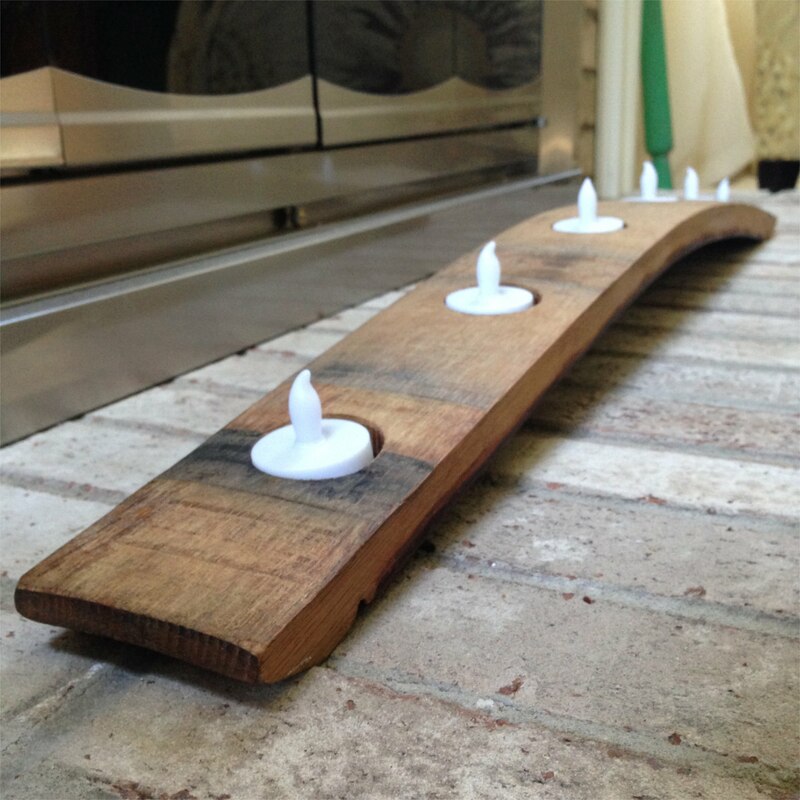 I found the wine barrel stave made into a tealight holder in Niagara wine country. 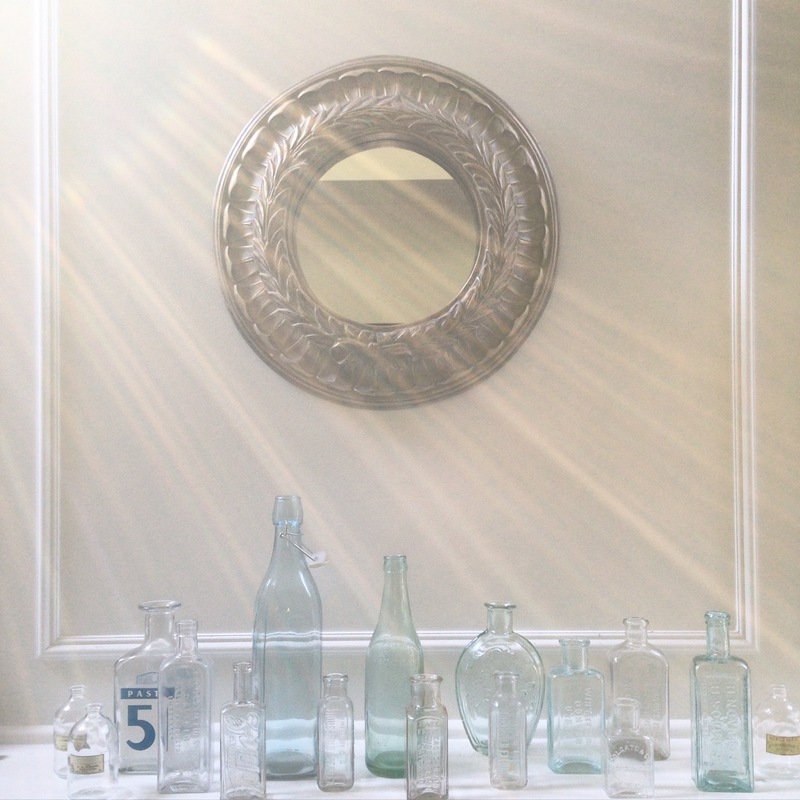 Instead of lighting a fire on hot summer nights, a little twinkle of candlelight adds a nice ambiance. 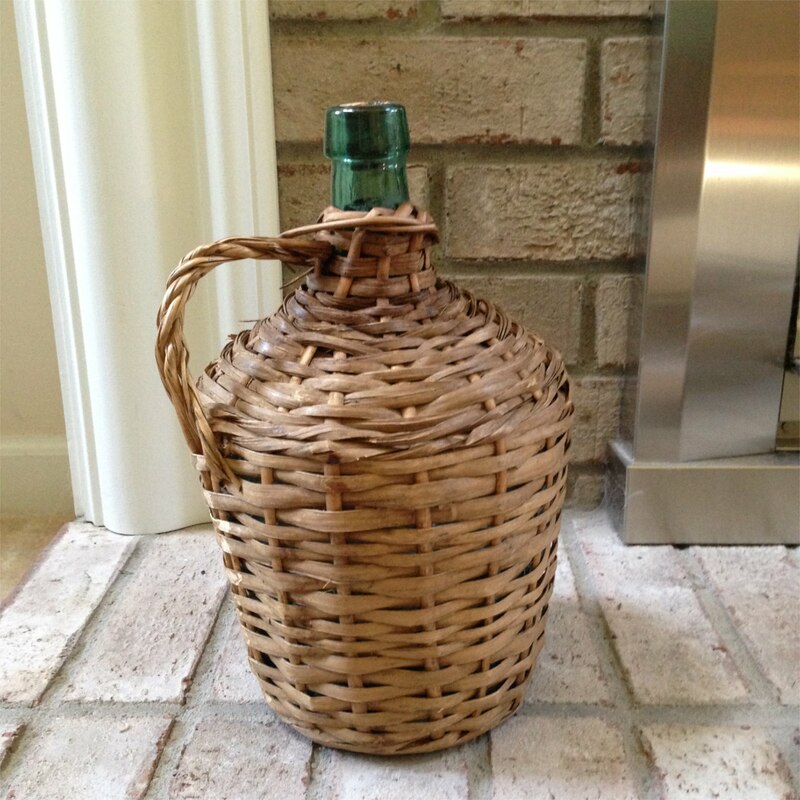 And the vintage wicker wine bottle is a treasure I also purchased in France. 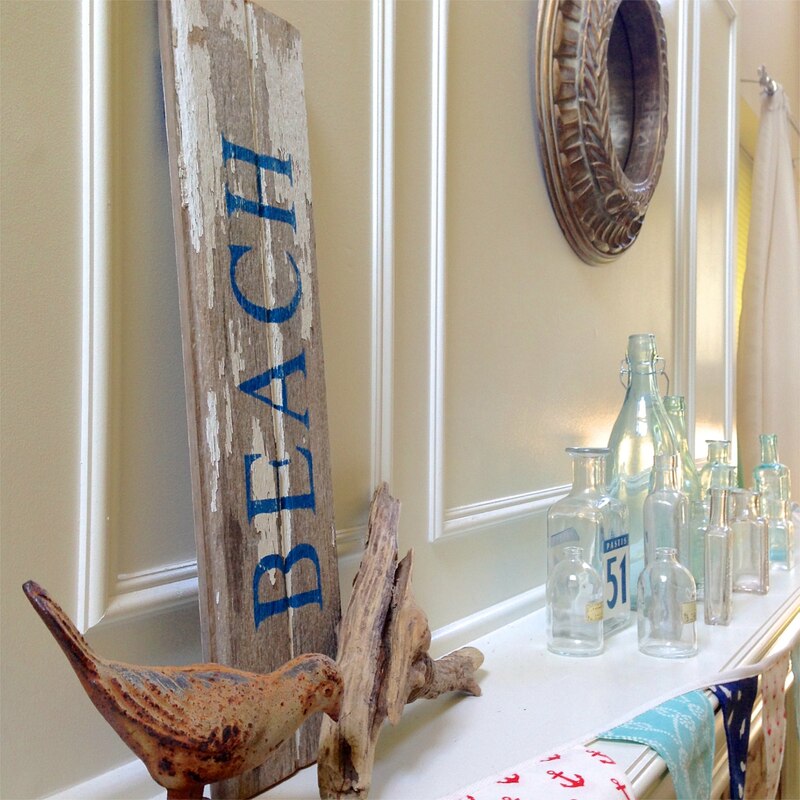 In the full mantle photo I didn’t see where you’d the placed the swimming figurine. Was she there? She’s adorable! 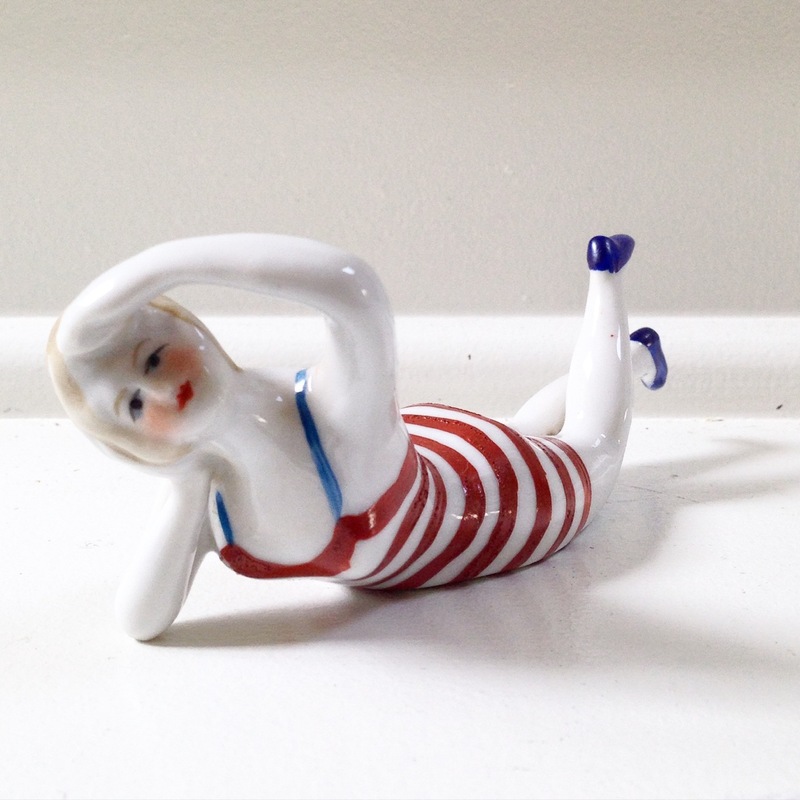 My mother in law had a pair, male and female in early 1940 ish swimwear. .. fabulous!